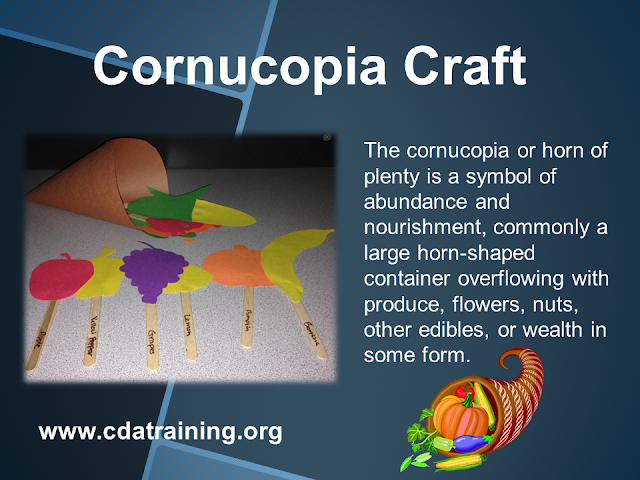 Cut out flowers, nuts, and produce out of construction paper. Glue them to popsicle sticks with the name of the item on the bottom. Make a large horn-shaped container out of brown construction paper.